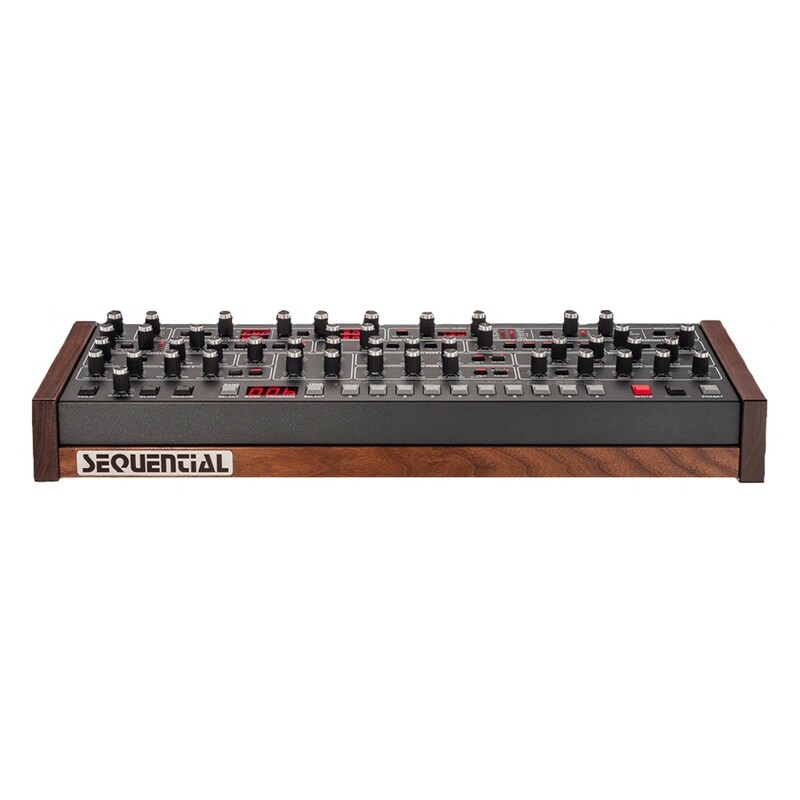 The Sequential Prophet-6 Desktop Module is a brand new addition the Prophet-6 series which features the huge sound and versatility of the Prophet-6 synth but now in a compact desktop module. 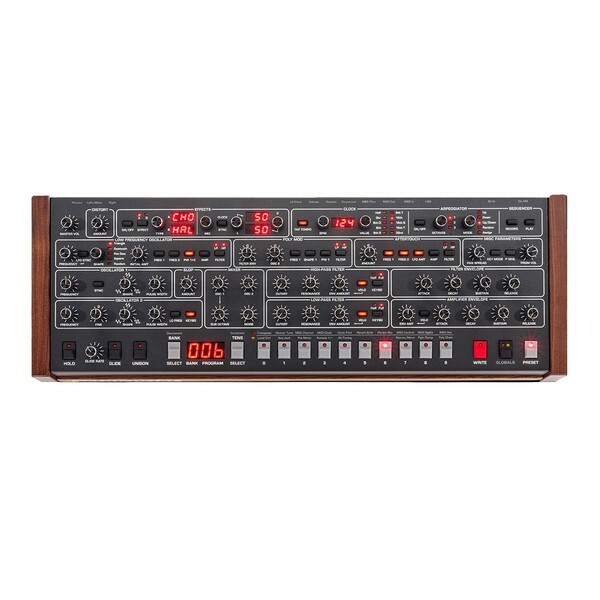 With two newly designed voltage controlled oscillators (plus sub oscillator), two filters and voltage controlled amplifiers the Prophet-6 Module combines power and portability to produce your new favourite synth module. 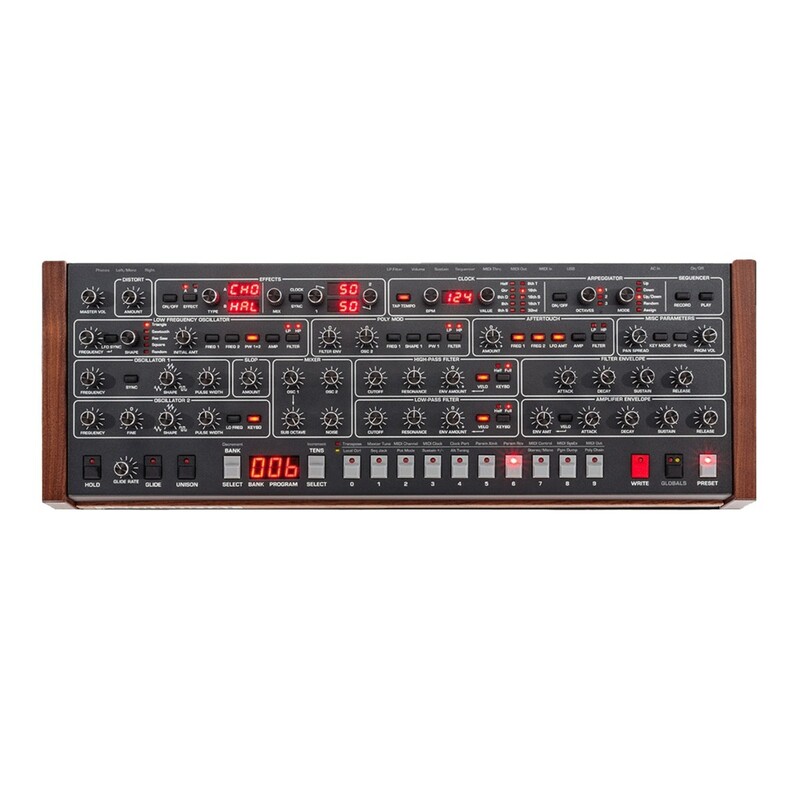 The Prophet-6 takes the best qualities of the original Prophet-5-true voltage-controlled oscillators, filters, and amplifiers-and adds enhancements such as studio-quality effects, a polyphonic step sequencer, an arpeggiator, and more. The result is pure, unadulterated analog tone with the stability and reliability of a state-of-the-art modern synth module. Central to the warm, punchy sounds of the Prophet-6 are its two newly-designed, discrete voltage-controlled oscillators (plus sub-oscillator) per voice. Continuously variable waveshapes provide the tonal palette with triangle, sawtooth, and variable-width pulse waves. There are two discrete filters per voice-a four-pole, resonant, low-pass inspired by the original Prophet-5 filter, and a two-pole, resonant, high-pass filter. Voltage-controlled amplifiers complete the all-analog signal path.